This weeks Flesh & Potatoes we continue to honor women in horror with two wicked lady movies with a knack for sewing flesh together. 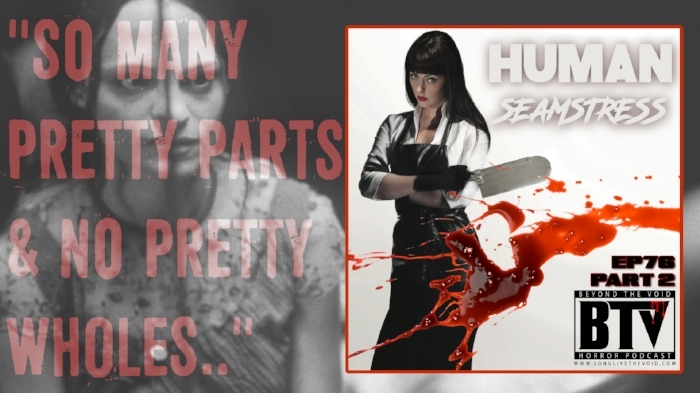 The Twisted Twins bring us a story about extreme body modification and the underground mod community in American Mary. Then Lucky McKee driector of “The Woman” brings us one of his earlier movies about a shy girl who can't make friends and decides to make her own with May. Two movies that take humans and make art with them. Join us in breaking them down we always save the spoilers for the end of each movie. So grab you kid sister , don't forget your troll repellant & be sure to grab some bologna as we travel Beyond The Void! Would you like to take our “Soska-Tine” #HorrorShot from Mondays Episode? We honor the “American Mary ” & the Soska Sisters with a delicious shot recipe.